In case you are new to RTA Systems, they allow you to easily build and install your own coils meaning you can tweak the resistance and setup to your liking to get the perfect vape experience for you. 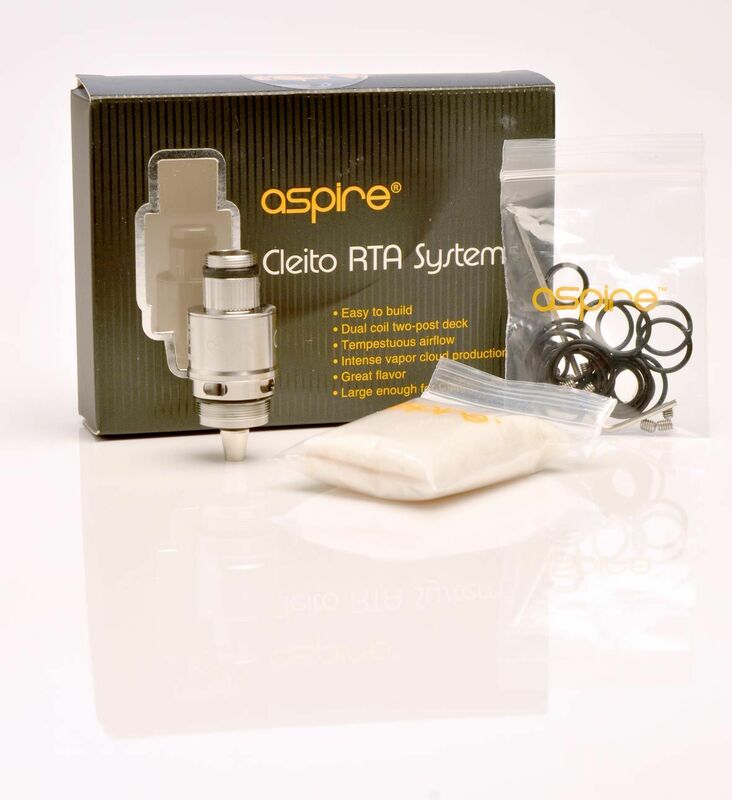 This Aspre Cleito RTA kit comes with 2 Clapton coils pre-installed as well as a small bag of cotton so you'll have everything you need to start using the Cleito RTA immediately. The Cleito RTA will lift your favorite E-juice's flavor to the next level.